What will change with the renewed JIM Mobile after 29/10/2017? I usually top up by calling *222#topupcode. Why doesn’t this work any more? As of 29/10/2017, you can no longer use BASE prepaid cards to top up your JIM Mobile SIM card. So, you will need to explicitly ask for a JIM Mobile prepaid card and then text the code to 1984. How do I top up my SIM card? I usually top up by calling 1955. Why doesn’t this work any more? I purchased a BASE top-up voucher instead of a JIM Mobile top-up voucher. What should I do? 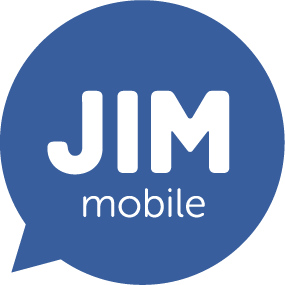 How do I use a JIM Mobile top-up voucher? How do I know how much calling credit I have left? copyright © All rights reserved. Still have a question? Then call 1984 free of charge, or send an email to info@jimmobile.be.